Hello, I am having a terrible time with my Satin Ice fondant. I have used it many times with great results but lately, I roll out my fondant to put on my cake and between the time I have it rolled out and the time I lift it to place on the cake (1 minute tops) the surface of the fondant is so dry it "elephant ears" (wrinkles/cracks) on me. I think I read somewhere to kneed in a little vegetable shortening to correct this but I can't remember and cant fin the post either. I haven't used Satin Ice before but whenever I've had the whole 'elephant skin' problem, it's usually because I didn't knead the fondant enough before rolling it out, so maybe try kneading it a bit more (more than you think you need) before resorting to the shortening? It makes it quite soft so it will solve your dryness issues but then you'll have to be extra careful that it doesn't rip when you try to smooth it out, especially if you're working with very sharp corners. Also, are you using corn starch or powdered sugar to roll out the fondant? My preferred method is corn starch but if you accidentally use too much, you do run the risk of drying out the fondant, especially if you're working in a dry environment (as opposed to a hot and humid kitchen). Hope this helps, I'm sure others who have experience with Satin Ice will be more helpful. Thanks Lina. I will try kneeding it more. I hope that will help. Its so frustrating. I have used satin ice for years with no problems then in the last 6 months or so .... trouble. Sigh... thank you again tho! What can I say, I hope it starts working for you again! Honestly I used nothing but Satin Ice for a long time and out of the blue it started acting funny, not smooth, ripping, elephanting. I switched to Wilton and it's been great! I know a lot of people don't like it but it's been the most workable for me. I felt that way too so I opted for fondarific fondant for this last cake and no problems at all. I suspect that Satin Ice has changed their recipe as well as their labels. :( So sad because it tasted so good and used to be so easy to work with! 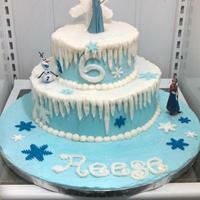 The last two or 3 times I've tried to cover a cake in Satin Ice it's been aweful.